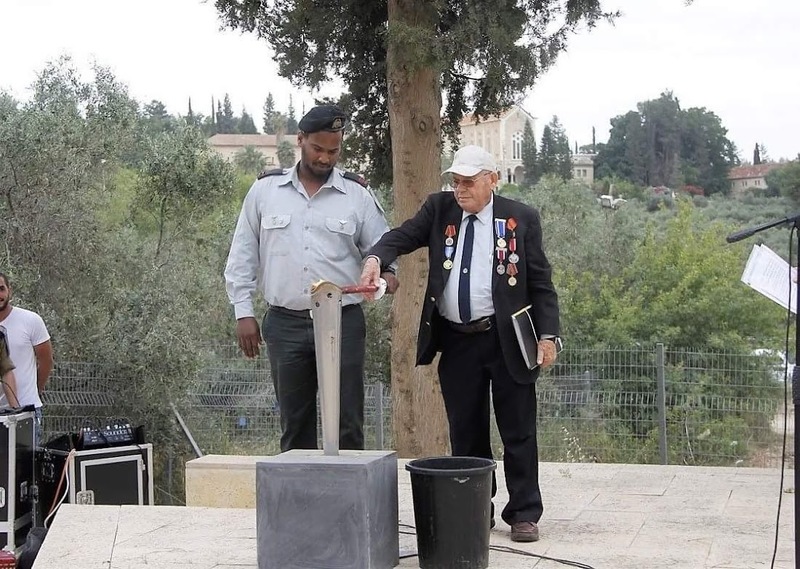 A ceremony marking the 73rd anniversary of the victory over Nazi Germany was held on 8.5.88 in front of the partisan memorial, the fighters of the ghettos and the undergrounds, at the Yad Lachiryon site in Latrun, with the participation of partisans, warriors of the Second World War, And "Ulpanat Zevulun" in Rosh Ha'ayin, soldiers and guests. Speakers: MK Isaac Herzog, son of Major Chaim Herzog, who was a combat intelligence officer in the battles for the liberation of Europe and the President of the State of Israel. Maj. Gen. (Res.) Chaim Erez - Chairman of the Association for the Establishment of the Jewish Fighting Museum in World War II. Maj. Gen. (res.) Udi Shani - Chairman of "Yad LaShiryon". Mrs. Varda Ben Artzi - representative of future generations. Musical - Kobi Bar - son of the partisan Israel Brestitsky. Turned on the torch of memory - Zeev Portnoy, who as a 9-year-old participated in the Tocin rebellion.